New York, April 7: At least 100 million and maybe as many as a billion birds die each year in the US when they collide with buildings, especially glass-covered or illuminated skyscrapers, according to a new study. Chicago, with its many glass superstructures that spike into what is the busiest US avian airspace during migration, is the most dangerous city for those feathered travellers, said the study published by the Cornell Lab of Ornithology that ranked cities based on the danger they pose to migrating birds. According to the study, more than 5 million birds from at least 250 different species fly through the Windy City's downtown every fall and spring, the Guardian reported. 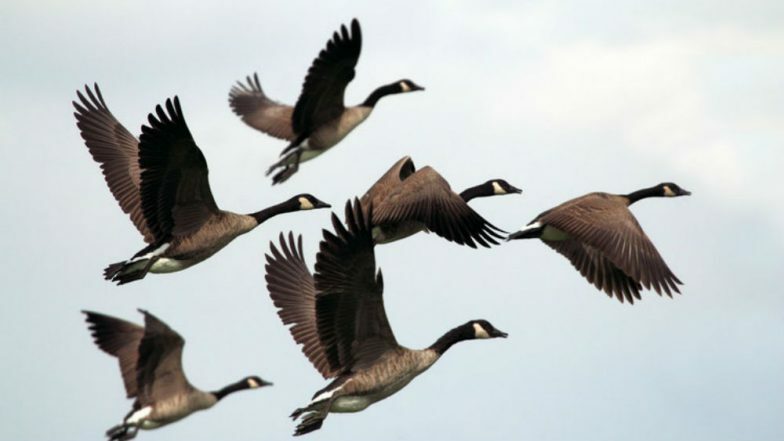 They journey twice a year, many thousands of miles, going north in the spring from Central and South America, across the Great Lakes to Canada, and back south in the fall. Balloons Are Killing Seabirds! Plastic Pollution Waste Pose Biggest Threat As Birds Eat Them Mistaking For Food, Says New Study. The famous skyline of Manhattan is another death trap for birds, especially those migrating. "They wind up landing somewhere that's unfamiliar, like a sidewalk somewhere," said Susan Elbin, director of conservation and science at New York City Audubon, a leading bird advocacy organisation. "Then when daylight comes, and they want to get more food, they'll fly into a tree that they think is a tree, and it's really a reflected tree in some glass building... Then they'll slam into the glass, and then they die." Houston and Dallas, which also lie along some of the most popular migration paths, round out the top three most deadly cities after Chicago. New York, Los Angeles, St Louis and Atlanta also pose risks during migration, the study said. Kyle Horton, an author of the Cornell study, said that the researchers were not trying to criticise cities per se but "trying to raise awareness, to provide data and insight that could help".